We are a prominent Manufacturer and Supplier of Needle Holders, which are used during the ophthalmic surgeries. 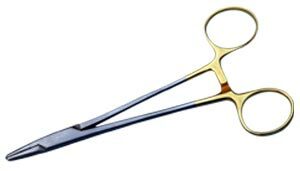 These Needle Holders are manufactured from finest quality raw materials as are used during critical surgeries. In addition to the above, we are counted one of the leading manufacturers of Needle Holders from India.